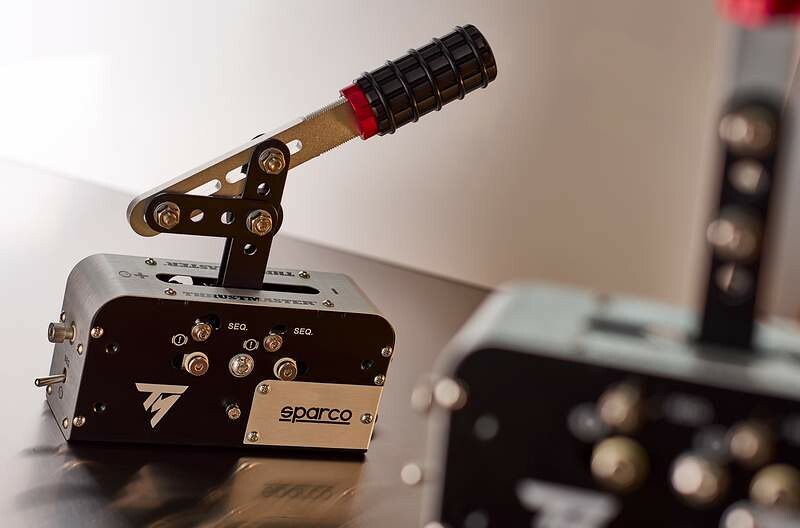 The TSS Handbrake Sparco Mod is the newest product whereby Thrustmaster worked closely together with the renowned Italian SPARCO brand. When you purchase a TSS Handbrake Sparco Mod, you will in effect own two items for the price of one. 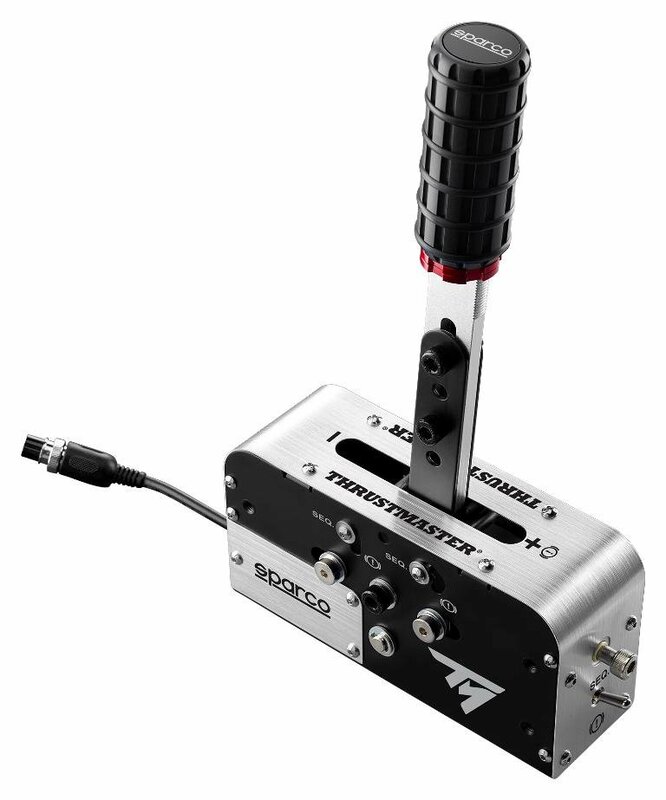 The TSS Handbrake Sparco Mod features two modes. It lets you set up the unit as a heavy duty USB progressive handbrake, or have you convert it to become a very precise sequential gear shifter. The Thrustmaster TSS Handbrake is fully adjustable. You can configure the unit as a horizontally mounted handbrake (GT style) or in a vertical position (Rally style), and adjust the height or length of the lever. 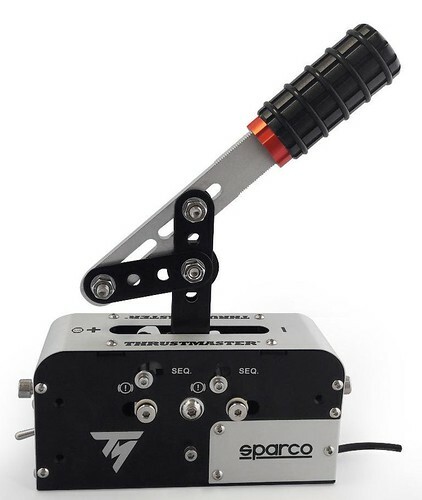 The Thrustmaster TSS Handbrake Sparco Mod is available at a suggested retail price of €249,99 / $269.99 / £239.99 (taxes included). The handle’s height is fully adjustable. 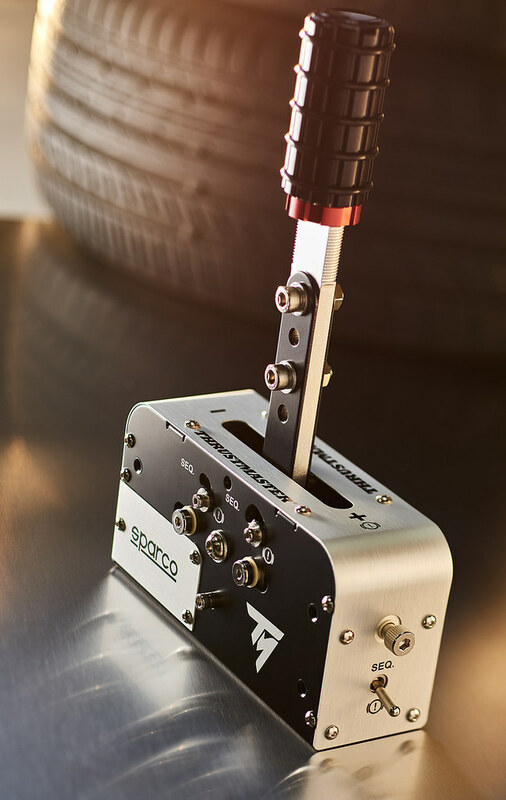 The TSS Handbrake Sparco Mod’s handle can also easily be turned 90° for horizontal handbraking in GT mode, in addition to the normal vertical position for rally mode. The unit features a handy attachment system for cockpits, thanks to its built-in M6 screw threads. 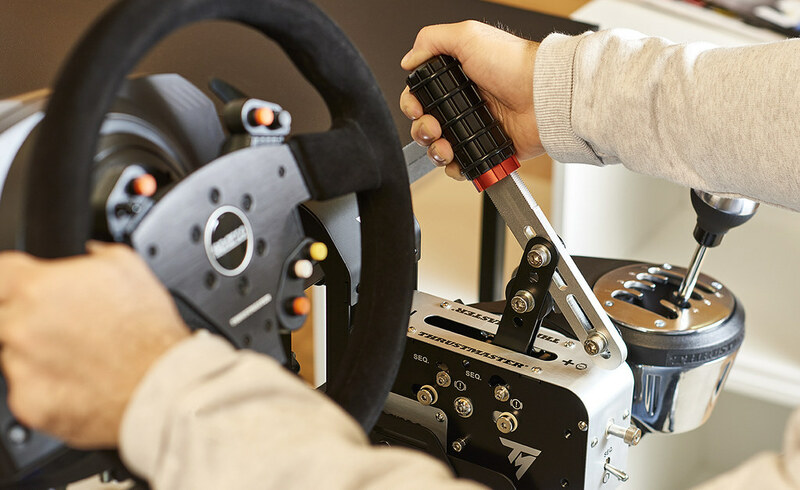 Gamers wishing to use the unit in a more common way – such as on a table or desk – will be able to opt for Thrustmaster’s related clamp (sold separately), which can also accommodate a TH8A for a complete setup including a progressive handbrake and a shifter. The TSS Handbrake Sparco Mod has been specially designed for PC gamers and is compatible with Windows® 10, 8 and 7. What’s more, although it’s been created with owners of Thrustmaster racing wheels in mind (in particular the T150, TMX, T300 series, TX series, T500 RS, TS-PC RACER, TS-XW RACER and T-GT, all of which are sold separately), it’s perfect for owners of any racing wheel from all other brands as well.